We understand that being in a car accident is not fun. It can be a scary and overwhelming time, especially if you have never been in one before. So what is the best way to handle the situation during and afterwards? We’re going to guide you through a few steps to help make sure that you cover all of your bases, so that you can take a deep breath, and move quickly toward recovery. After getting in a vehicle accident, make sure that no one needs medical assistance and call 911 if you need an ambulance. If possible, move your car to the side of the road, or call for roadside assistance. If you are reading this as a precaution so that you can be prepared, make sure that you get the other driver’s license, insurance information, photos of the vehicles and contact info for any eyewitnesses. While this may seem obvious, those who are in the fault often try and get away without giving you their records or try to convince you that they will pay for the damage themselves. This may be reasonable if there is hardly any damage, yet if there is a substantial amount of damage, the best option for you will be to get their information so that you can let the insurance take care of it. When you have been hit, it is important to call the police so that they can write down a record of what happened. This can help the insurance process go smoother. Another reason it is important to have the police involved is if there was anyone injured. If the police make an official record, it may be easier for you to receive medical compensation from the insurance company. Once you have made it home after the accident, it’s time to call the insurance company to file a claim. If the police weren’t involved, you will want to file a report to the DMV. We understand that when there has been damage done to your car, or one of your family members has been injured, it can be an extremely upsetting time. While your friends and family will be there for you for moral support, you may also want the support and advice from a legal professional. An attorney will help you realize that you’re not alone in this and will reduce your stress of the financial burden you’re facing. If you feel like you haven’t received the compensation you deserve, a personal injury lawyer may be your best option. If you or a loved one has been seriously injured, you may need to hire a personal injury lawyer to help you receive the compensation you need, so that you can cover the costs of medical bills, lost wages, etc. 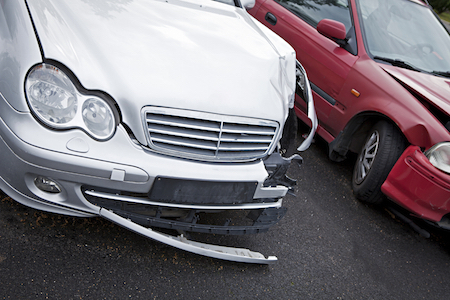 Another reason to hire an attorney is if your car has been severely damaged. While insurance companies may give you a sum money, often, it may not cover enough of the cost or be the amount that you should be receiving. If you don’t have knowledge about the law or the time to figure out how to pursue a substantial claim, you will greatly benefit from an attorney, so that you can get the compensation you deserve. Attorneys have the experience and knowledge to seek the highest possible settlement for their clients for personal injury, property damage and even general damage such as pain and suffering or mental anguish. If you’re considering contacting an attorney, be sure to not wait long, as there is a time limit called the statute of limitations. We hope that you stay safe of the road and don’t have to experience the unfortunate experience of an accident. Yet, if you have been in an accident, know that you aren’t alone and can receive the help you need through friends, family and an excellent lawyer who will fight for your rights.